May 22, 2012, Washington, DC: I met a friend halfway today after work; she biked south down Rock Creek Park from Adams Morgan and I pedaled west from Capitol Hill to meet at the Thompson Boathouse. We had every intention of exercising together, perhaps an ambitious sprint up the C&O Canal, but instead we sat there on the Georgetown waterfront catching up. There was a lot to say. About halfway through our conversation, the skies behind the Swedish Embassy opened and the rain poured down through a bright backdrop. We huddled beneath an awning wearing bike helmets and waiting it out, expounding on the things we fear and love, like great white sharks and San Francisco. The bike ride home was slick, shiny and slow. Along the Potomac, runners slogged home in wet shoes. At the World War II Memorial, classmates on field trips bounced through the rain in matching damp florescent shirts. 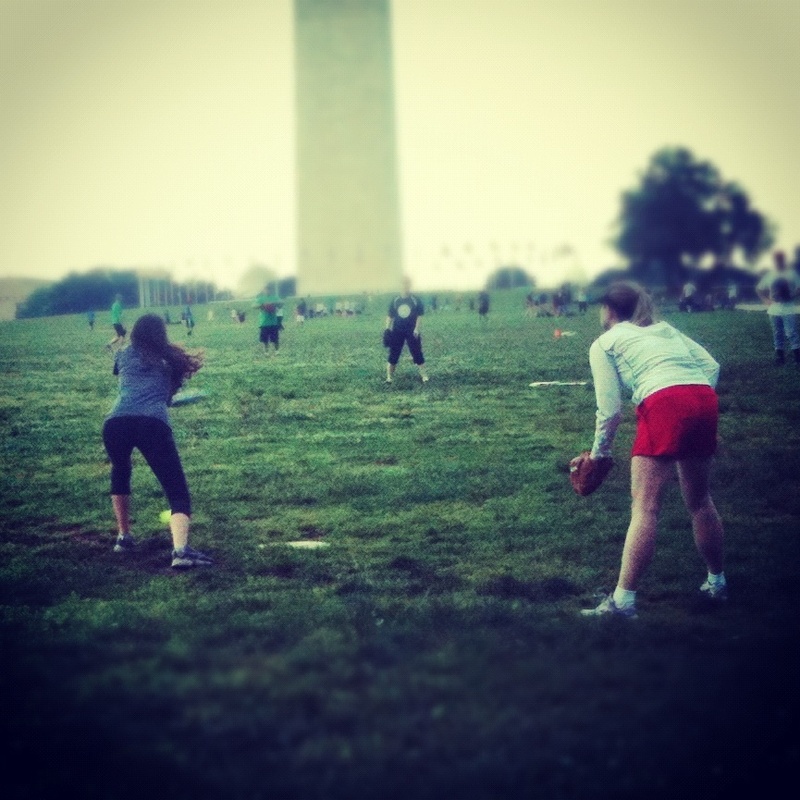 Just short of the Washington Monument, hundreds of softball players continued where they’d left off. On the east end of the Mall, the crowds thinned and the inner road in front of the Smithsonian was nearly all mine. By the time I climbed the Hill and reached the far side of the Capitol, it became clear that it had barely sprinkled at Eastern Market. What's not to love about this place on a night like this one after the rain?